Get workers compensation quotes for wood products manufacturing. Learn More About Our Wood Products Workers Comp Insurance Programs. Wood products manufacturing can often be difficult to insure. Many related businesses find themselves buying coverage from their State Fund at higher rates than necessary. Workers Compensation Shop has partnered with some of our insurance companies to develop workers comp programs designed specifically for wood products manufacturers, distributors, and retailers. 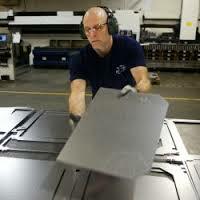 Give us a call to find out if your business qualifies..
2731 Planing and molding mills. 2797 Mobile home or wooden trailer manufacturing. 2881 Furniture manufacturing and cabinet shop assembled by hand. 2883 Wood furniture manufacturing and cabinet shop. 2915 Veneer products manufacturing with and without veneer manufacturing. Includes class code 2916. 8232 Lumberyards- retail and wholesale. Midwestern Insurance offers an exclusive program for wood products manufacturers with excellent rates. Synergy provides creative options and will offer premium credits and discounts to qualifies risks. We work with Amerisafe to provide affordable coverage and safety programs on all wood class codes. Accident Insurance has easy underwriting guidelines for furniture and cabinets builders. Applied underwriters offer partially self-funded workers comp programs for wood products manufactures. UBIC is rapidly expanding and offers Pay As You Go options for most wood product classification codes. We offer workers comp and additional lines of coverage from some of our other insurance companies depending on your state, nature of business, and payroll. Give us a call today to learn more about our wood programs. See if your business qualifies for lower cost coverage on workmans comp. Our agency has partnered with select insurance companies to offer better workers compensation rates for wood products manufacturing and related products. We offer exclusive programs with the best prices so you find your best deal on coverage. Start an online quote to see if you qualify for the best prices on your next policy. Or give our Specialists a call today at 888-611-7467.